We talk a lot about how to smartly market your restaurant. But, how do you increase profits in ways other than marketing? Today, we discuss what else you should be doing to make your restaurant more profitable. Your menu has to be priced competitively, but not too competitively. You need to make money, but you also don’t want to turn guests away with a price tag that’s too high. So, how do you find a happy medium? Think strategically about your menu prices and consider not only the cost to you, but the amount local competitors are charging as well. The general sweet spot for restaurants is to keep your FCP around 28-35%. However, the percentage is based upon what type of food you serve. Steakhouses are going to have higher food cost percentages (more on the 35-40% side) than pasta restaurants because the ingredients they use cost more. Of course, you want to keep the FCP as low as possible without taking away the quality of your offerings. For this dish, you’re right in the range where you want to be. Make sure you’re going through this calculation with each menu item (of course, you need to be aware of your ingredient cost for every dish). Let’s look at an example where the food cost percentage is high. You’re selling a steak and potatoes with mixed vegetables for $32. The ingredients cost you $13. This is above the average FCP range, but it’s not surprising because it’s a steak, which is typically a higher quality item where the ingredients cost more. When you find the food cost percentage of a certain dish is too high, consider using less expensive ingredients or adjust your price accordingly, keeping in mind what customers will be willing to pay for it. It’s good to have a mixture of items, some higher end and some with a lower food cost, so that they balance out the menu and FCP nicely. We’ve introduced you to Gregg Rapp, the menu engineer. Gregg has made a career out of helping restaurant owners restructure menus to gain more profit. 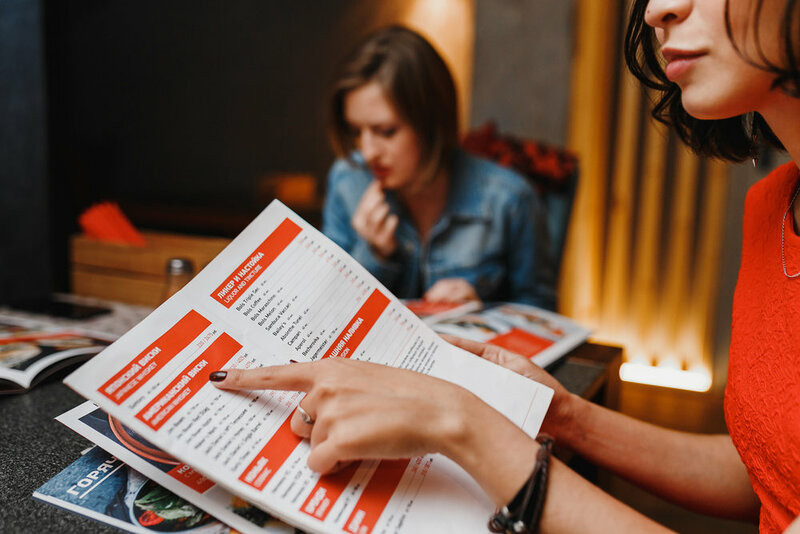 The way your menu is designed, where items are located on a page, and whether or not you use dollar signs in front of prices, all have an influence on the profitability of your menu. Other factors, like how many items are within each category, and the font you choose, also play a role in the success of your menu. How long has it been (if ever) since you last took a good look at your current menu? Take the time to examine your menu with the consideration of profitability for your business. This attention to detail can uncover new opportunities to earn you more money. Want Gregg’s help? Visit his website to get in touch. 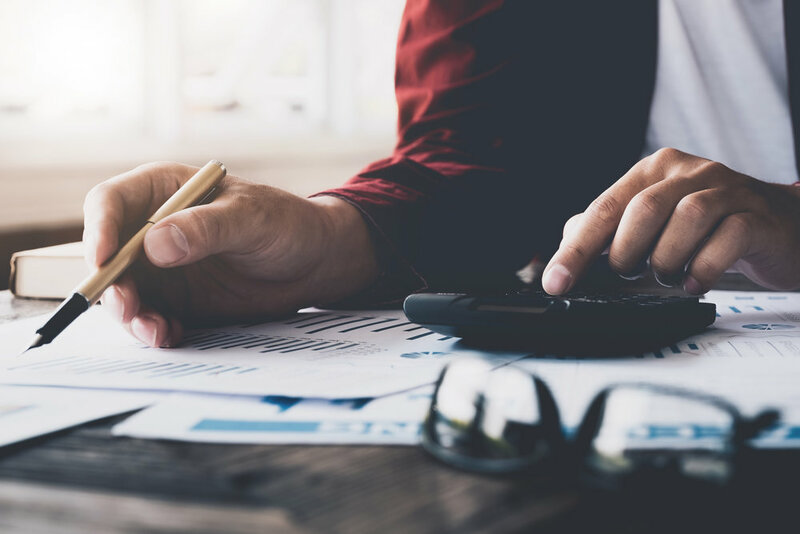 Calculating your food cost percentage is essential, but remember that you’re not only accounting for the cost of food when considering how much profit you’re making. Gross profit is what is left after you deduct the direct costs of goods sold, such as food costs and labor costs directly associated with preparation and serving, from your revenue. Of course, this means you should consider your restaurant’s Gross Profit Margin (GPM). With Typically, the Gross Profit Margin for a restaurant can range between 0-15%. You can calculate the Gross Profit Margin by subtracting the cost of goods sold (and the labor costs) from the revenue and then dividing that number by the revenue. Let’s say in a year’s time your restaurant makes a total of 1.25 million dollars in revenue. In order to produce the food you spent 1.1 million dollars. This calculation is considered when determining whether a restaurant can sink or swim. It’s different than your Gross Profit Margin because this is the amount of money that’ll actually be going into your pocket. When it comes to your Net Profit Margin (NPM), you have to factor in other restaurant costs than just food and labor, like rent, bills, salaries, marketing efforts, and equipment. Your NPM is the profit you’ll actually be taking home. As a frame of reference, the average net profit margin for all S&P 500 companies is a little over 8 percent. When it comes to restaurants, in 2017, full-service restaurants had average profit margins of 6.1 percent. So, what does an example of a net profit look like? Last year your restaurant made 1.25 million in revenue. After all was said in done in calculating all costs, you determined you spent 1.16 million. That 7.2% is a healthy margin by restaurant industry standards. Do this exercise to determine your Net Profit Margin. Is it too low? Reevaluate your costs including aspects like your rent, monthly bills, and payroll. You can also consider cutting costs of food and beverage or changing your menu to be more cost-effective. Marketing is a great tool to help gain more profit for your restaurant. But, there are many other considerations you need to take into account when looking to become more profitable. Keeping a pulse on how your business is performing can help you make actionable decisions that will result in more money for you!